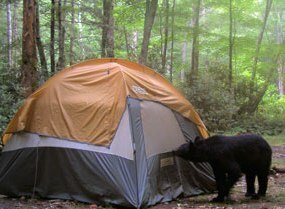 Recent bear incidents at the Rising Sun Campground, located on the east of the park, have prompted the temporary closure of the campground. Early Monday morning the upper loop of the campground was closed, and the lower loop was only open to hard-sided camping. As of Tuesday, August 6th, the entire campground will be closed to all camping. All campers are being provided an opportunity to relocate to another campground within the park. The Rising Sun Campground has 83 sites and is a first-come first-serve facility. It is unknown the duration of the campground closure. For updated information about access, please visit the park’s campground status page, or contact the park at 406-888-7800.